It's from The Village Voice. The National News Site based out of NYC. They recently wrote an article about me and Freeze Happy. 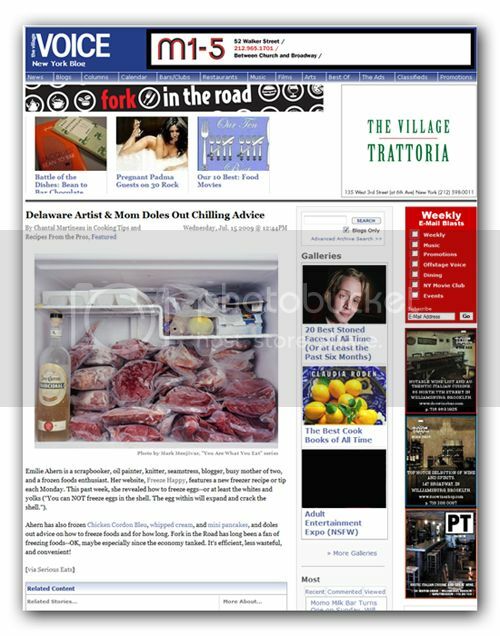 "Delaware Artist & Mom Doles Out Chilling Advice"
Wow! How exciting is that? Congrats and my family is loving the meatballs! November is Mini Meatball Month!! !